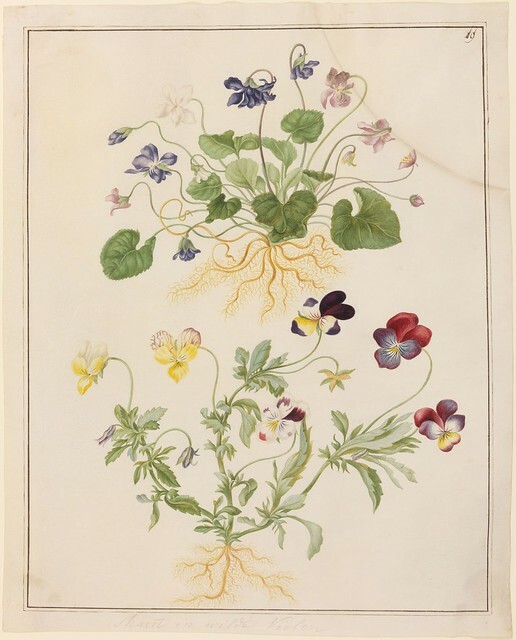 Herolt, a lesser known member of the 17th c.
German-Dutch Merian family of artists. 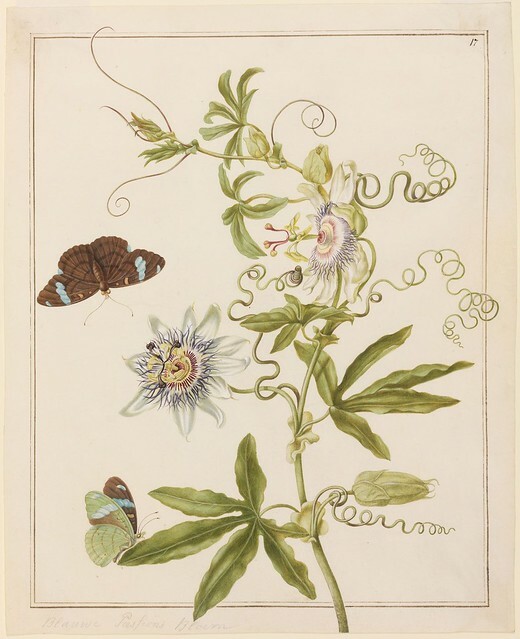 Maria Sibylla Merian produced ground-breaking depictions of insect life cycles with associated plants, and her two daughters (including Johanna Helena Herolt, née Graaf) were intimately involved in the design, engraving and colouring of her mother's book illustrations. 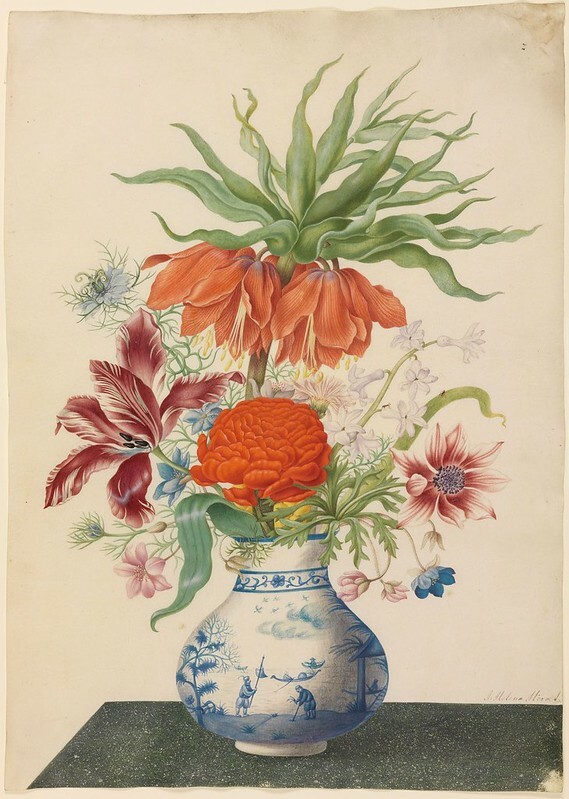 Herolt's other principal claim to fame was her hand-colouring contributions to the exceptional series on Amsterdam's botanical gardens, the Commelins' 'Horti Medici Amstelodamensis' [link], 1697. 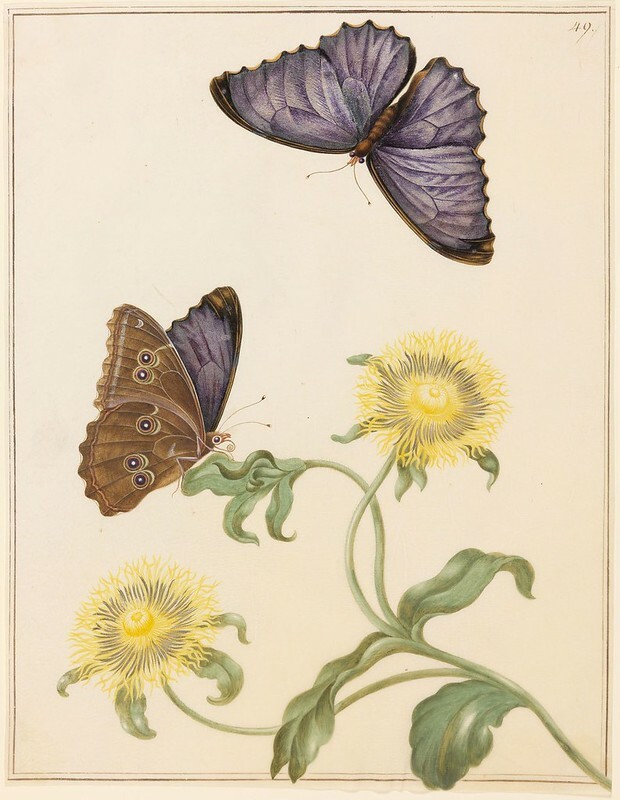 "Johanna Helena Herolt, born in Frankfurt, Germany, was the eldest daughter of painter, draftsman, and engraver Johann Andreas Graff (1637-1701), and well-known insect and botanical painter and nature researcher Maria Sibylla Merian (1647-1717). 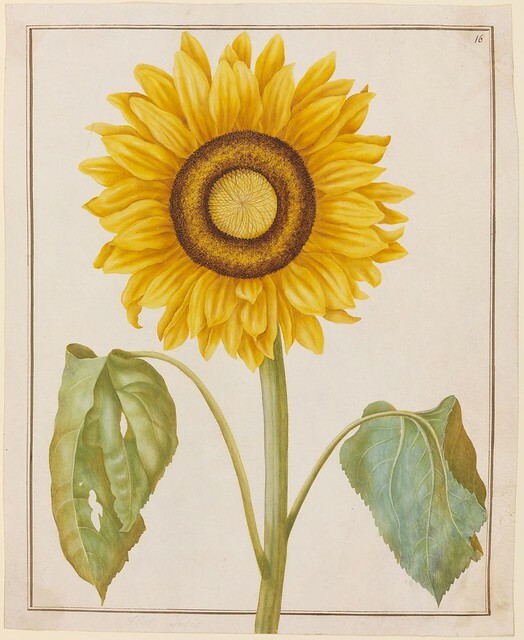 Along with her sister, Dorothea Maria Graff (1678-1743), Johanna Helena learned to paint from her renowned mother and father. 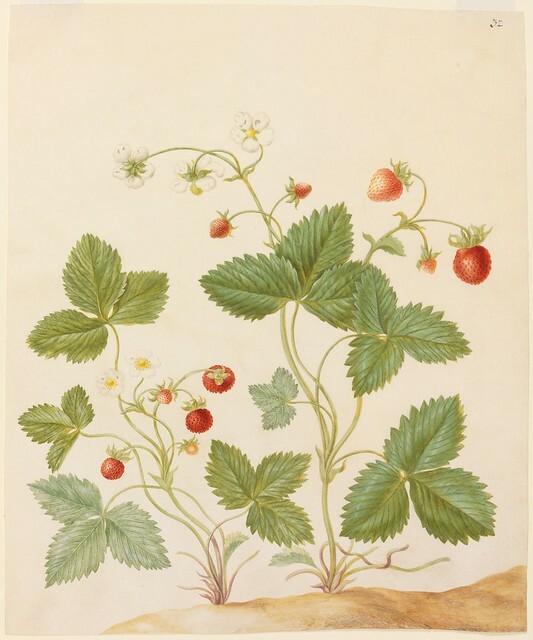 The Herzog Anton Ulrich-Museum in Brunswick own a collection of botanical/entomological prints attributed to Johanna Helena Herolt : 50 images are hosted online at the Lower Saxony Heritage portal. 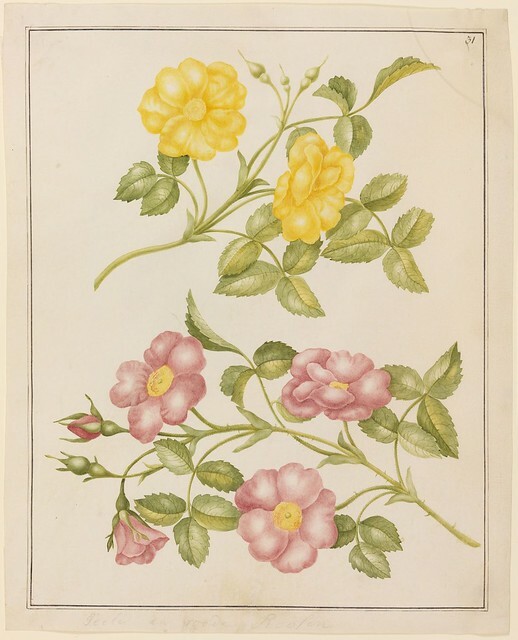 The British Museum hosts a further dozen images featuring Herolt's input. 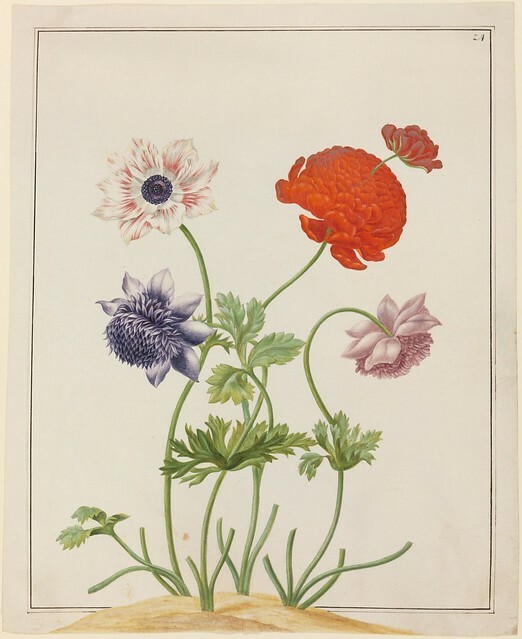 *Maria Sibylla Merian & Daughters: Women of Art and Science* - Getty Center exhibition overview from 2008. 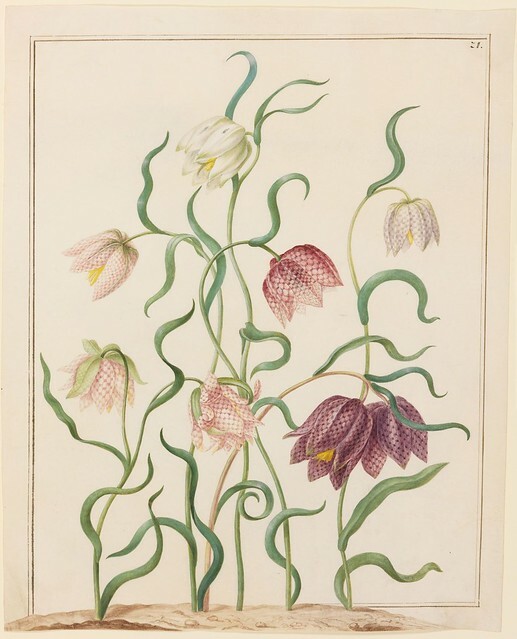 Johanna Helena Graaf-Herolt at Wikipedia. 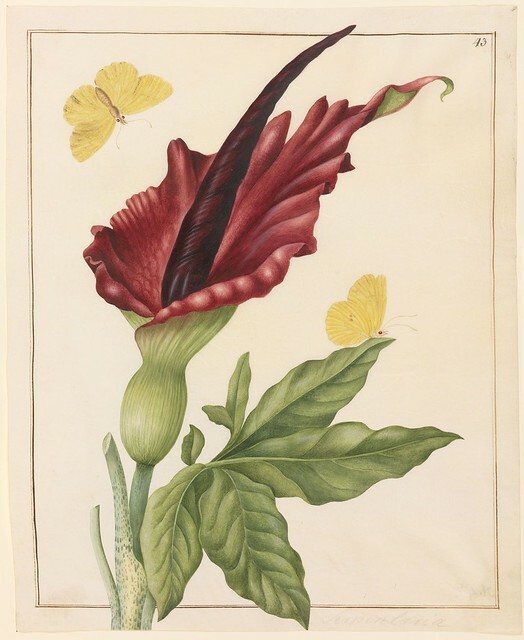 'Maria Sibylla Merian and Daughters: Women of Art and Science' 2008 by Ella Reitsma --- I saw a review article of this book by Martha Moffitt Peacock IN: Woman's Art Journal, Vol. 31, No. 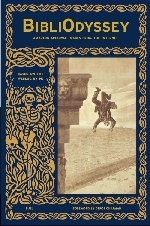 2 (FALL / WINTER 2010), pp. 65-67 -- thanks Karla. 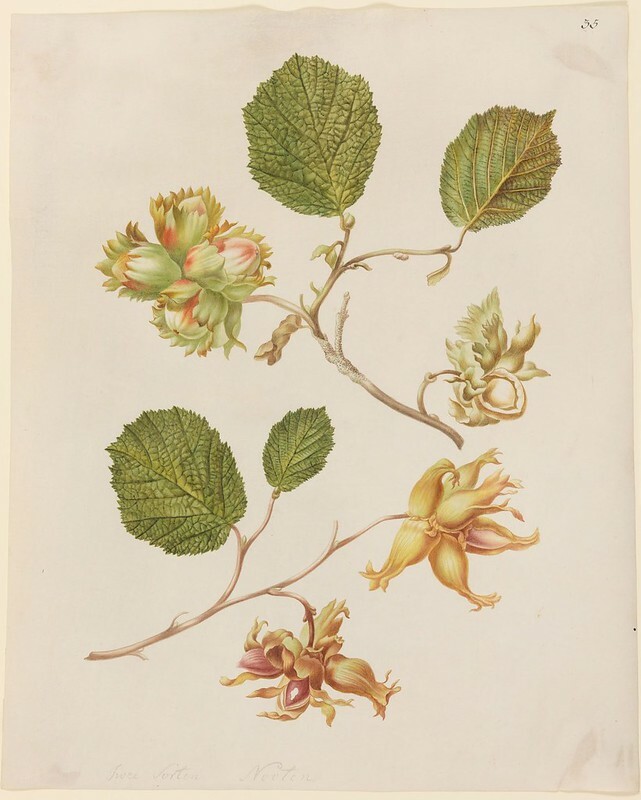 Oak Spring Garden Library: *Digitizing Project: Seven botanical watercolor and bodycolor drawings*. 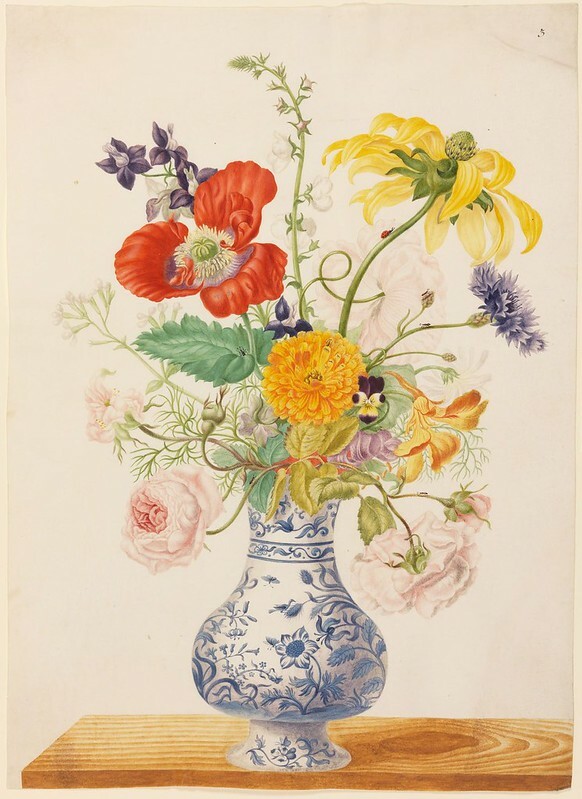 *Amsterdam’s Hortus Medicus and the Commelins*. The Sci-Art Pedigree post first appeared on the BiliOdyssey website. Great discovery peacay ! Simple subjects with great composition and colours. Thanks for the discovery. Colours in these are sublime... 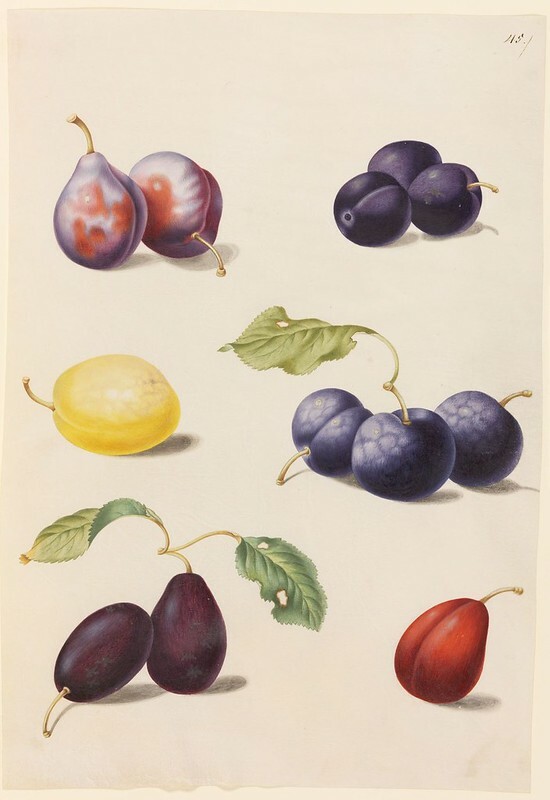 I always think botanical illustration looks best aged.